When the groom tears up, we all tear up, right? I'm not sure if we've ever witnessed this much love and emotion on a Thursday night, but Jessica and Branden definitely made it happen and we love them for it. 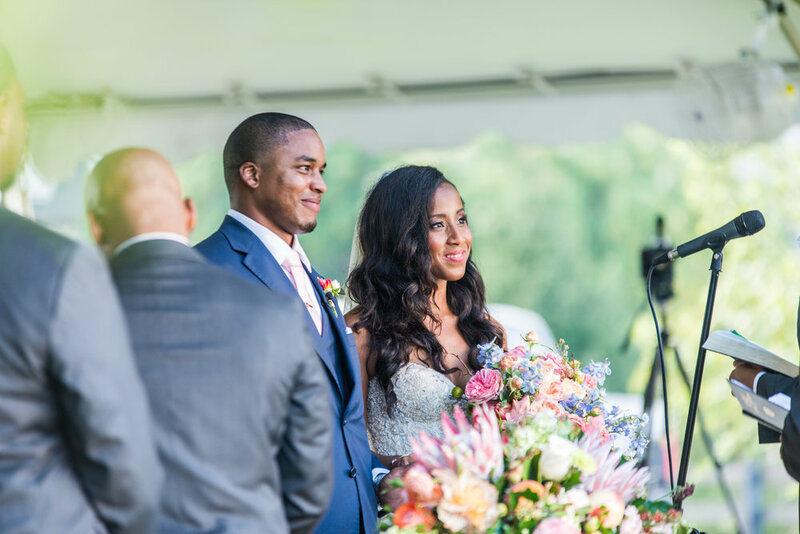 This couple took care to make sure that their beautiful and sentimental day was a total representation on who they are as a couple - relaxed, fun and completely in love with God and each other. The Stables at Strawberry Creek paired with the excellent talent of Kristy from Margaret Claire's Wedding and Event's made for such an incredible day! 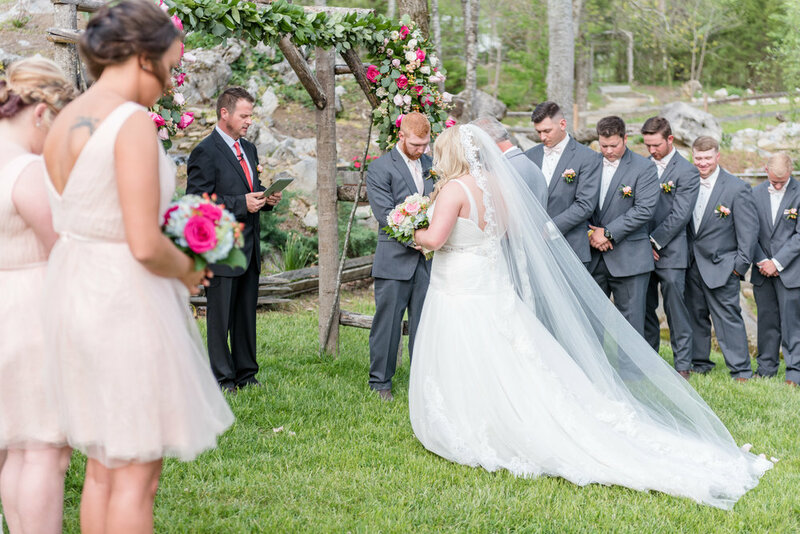 The ceremony in the meadow began with a worship session where the bride and groom took a few minutes to focus their attention on Christ before saying "I do." Then, things got real. 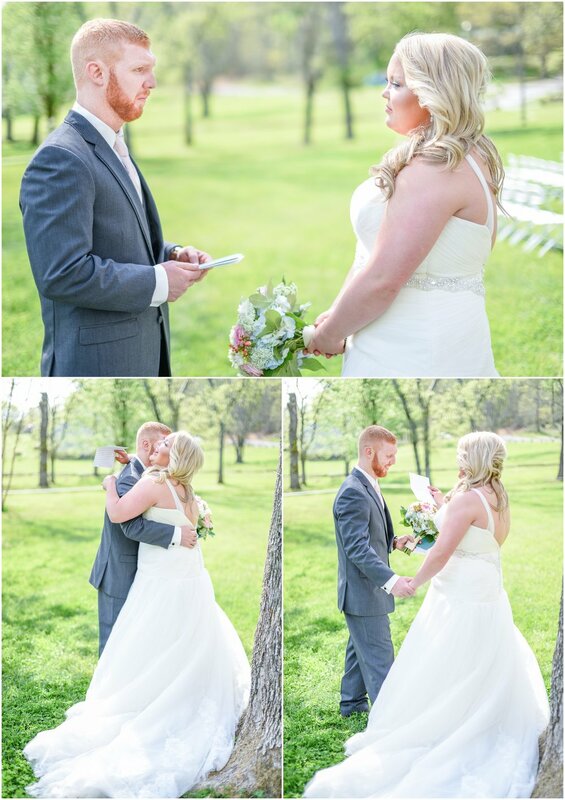 Jessica and Branden shared personalized vows that they had written to one another and it was truly one of the most genuine and heartfelt ceremonies that we've seen. How do you follow up a ceremony like this? Only with Moe's BBQ and reception entertainment by one of the best, Music in Motion. Congratulations to the Mr. and Mrs.! What an incredible wedding day and an even more extraordinary couple. We can't wait to see where your ministry and your marriage lead you. 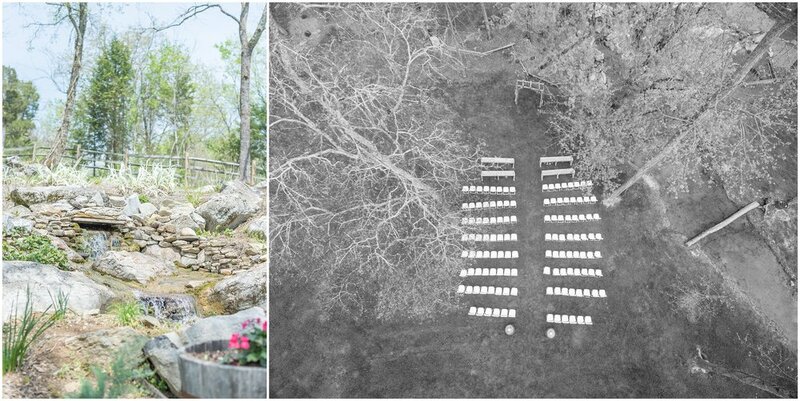 Mckenzie and Tyler are such beautiful people, inside and out, so it's only fitting that they choose one of East Tennessee's most breathtaking venues to tie the knot. 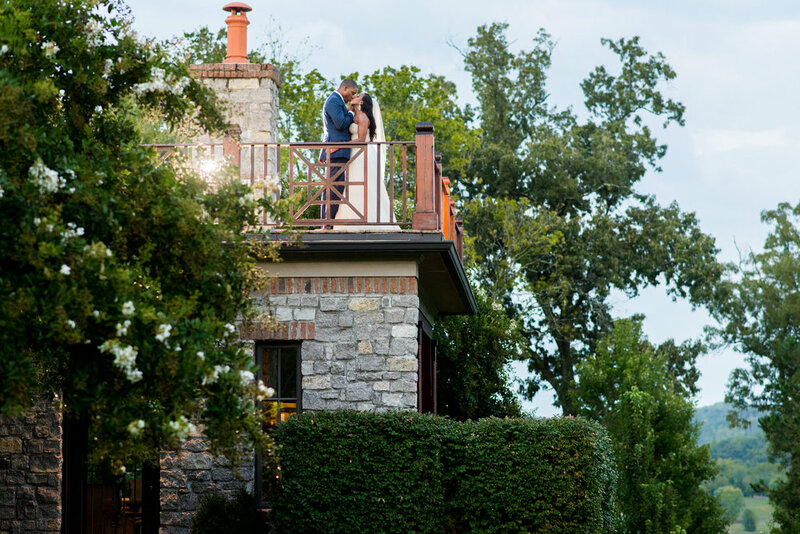 Everything - the chateau, the decorations, the flowers, the wedding party, the mountain view - everything was stunning, but what made this wedding day one of our favorites was the incredible people and all of their excitement that surrounded this sweet couple. 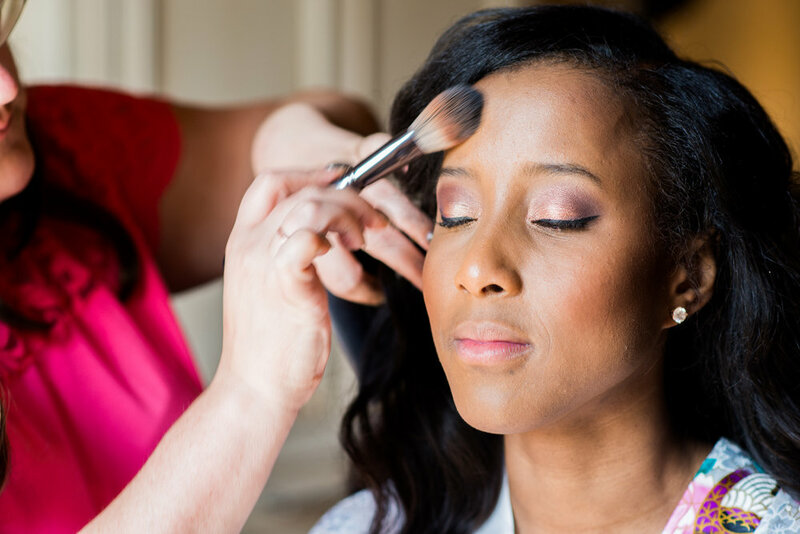 In the bridal suite, Mckenzie's big sister and Matron of Honor counted down the minutes until the first look. "Mac, there's 45 minutes until you see Tyler!" "Mac, there's only 15 minutes until you see you're new husband!" As excited as they were about each other, their friends and family were just as excited for them. Talk about a perfect day. One of the best moments from the day was the first look. Tyler waited anxiously on the balcony of the chateau with his back to the door and as Mckenzie snuck up behind him, the only request was that he wait to turn around. This gives the photographers a minute to capture that perfect photo. He nodded in agreement, but when she wrapped arms around him, he seemed to completely forget all about the cameras looking at him - he was ready to see his bride. After all, he's waited 8 years for this moment. This was definitely one of the happiest and most authentic moments from a very genuine and joyful day. 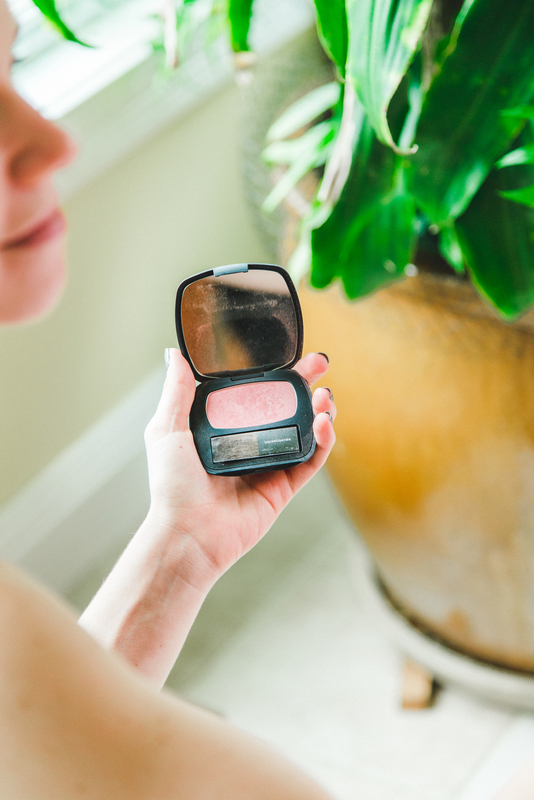 We live for wedding day moments like this. 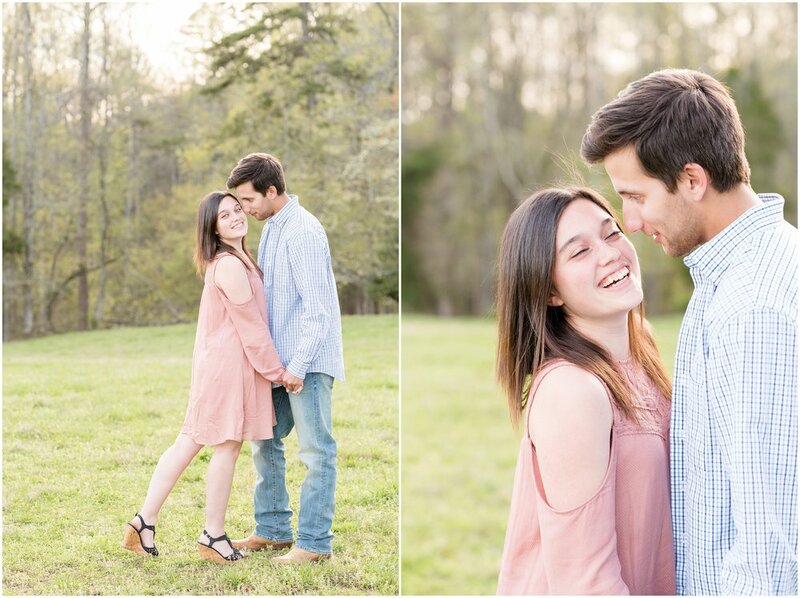 Mckenzie and Tyler, we wish you a marriage that is as beautiful as the mountain views on your wedding day and we hope that you are forever surrounded by these amazing people. Congratulations Mr. and Mrs. Greene! If there is anything we learned from Lauren and Andrew, it's that love is not a destination. It's something that we bring along with us wherever we travel. This adventurous couple has stolen our hearts with their incredible love story and their extraordinary wedding day. I do's were classic and elegant at the Immaculate Conception Church in downtown Knoxville and Honeybee events created a show stopping setting for the reception fun at the Cherokee Country Club. The night was complete with unique and fun extras including live entertainment, Love Bus transportation, a bourbon bar and a late night Krystals delivery. Their excitement for each other and for new experiences has lead them from Oxford to Knoxville and now to cities around the world. Mr. and Mrs. Bosse, we can't wait to see where your next adventures lead you. One things for sure. With your best friend alongside you, you're sure to enjoy the journey. 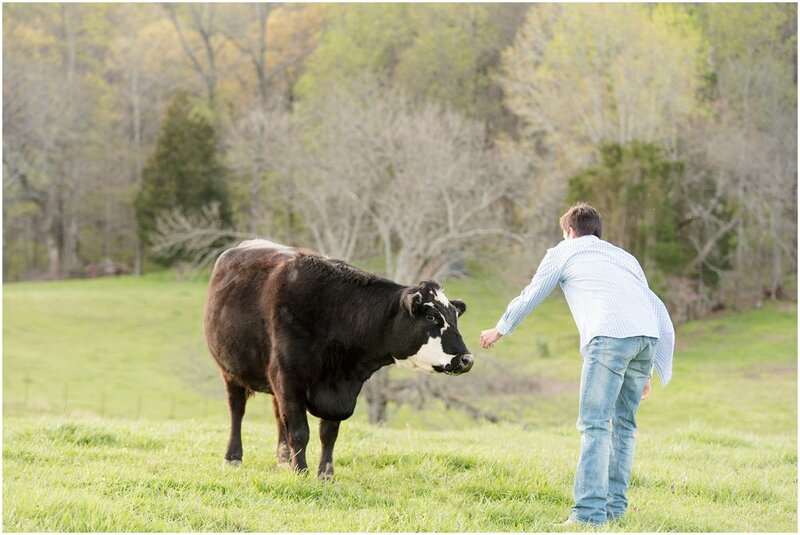 Tucked away in the mountains in Morgan County, Tennessee is a beautiful hidden gem - The Chapman family farm. What an incredibly personal and sentimental place for Molly and Rudy begin a life together! 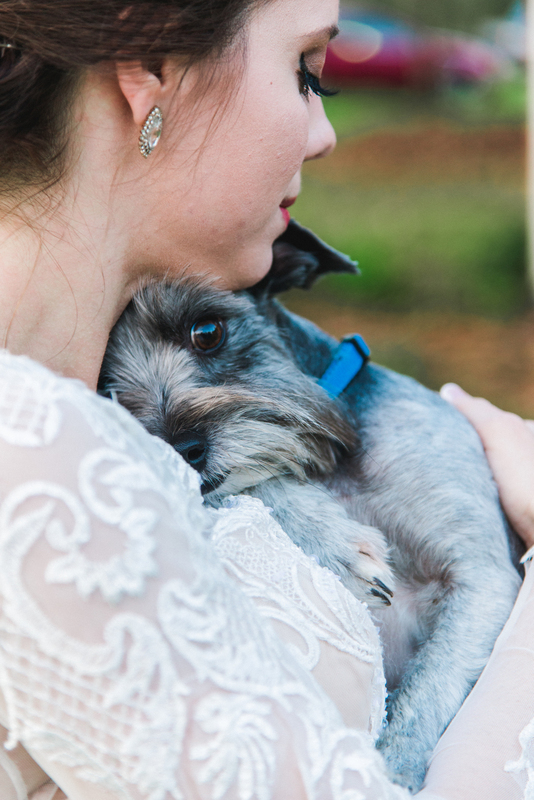 When we asked Molly about her favorite moment was from the wedding day, we had no idea what to expect. 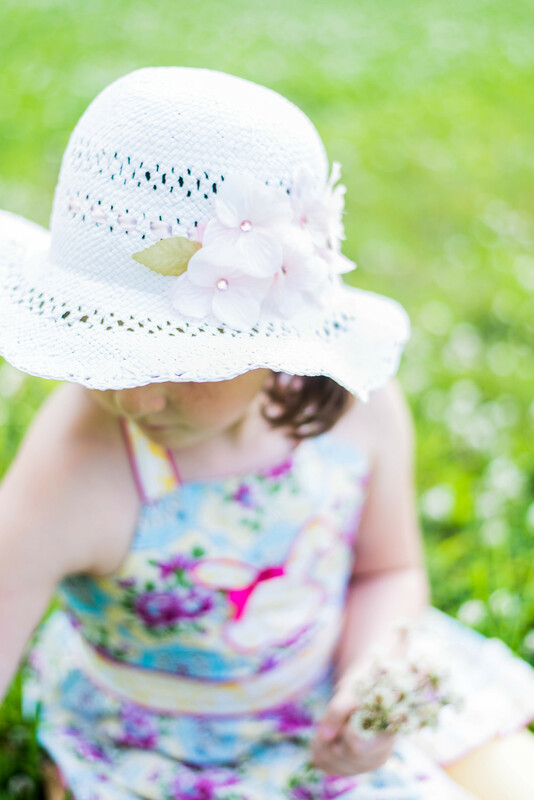 How can you choose just one perfect moment from a perfect day? Her answer was superb - "The moment I first saw Rudy standing at the alter waiting for me was the most emotional moment. Everything suddenly felt REAL and I definitely had a hard time keeping the joyful tears from flowing. Through the whole wedding I was totally focused on Rudy and he on me." 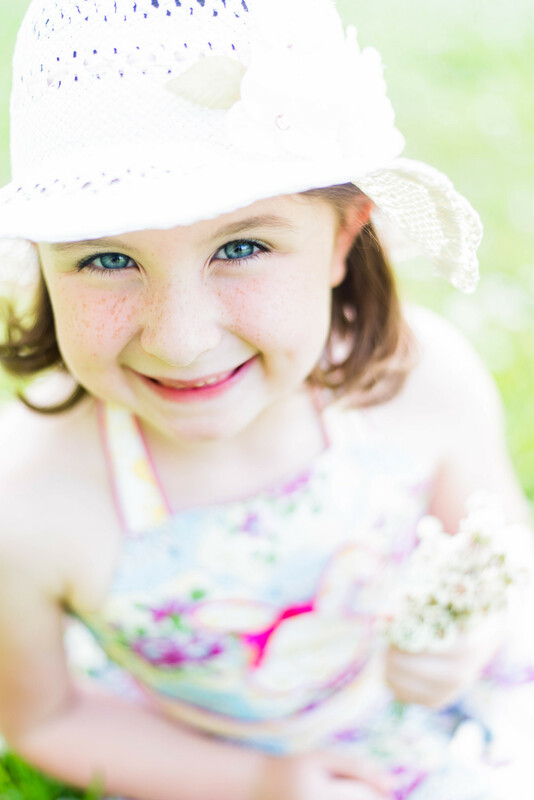 As one of five daughters in her family, Molly has had a front row seat to beautiful new marriages and so much love. 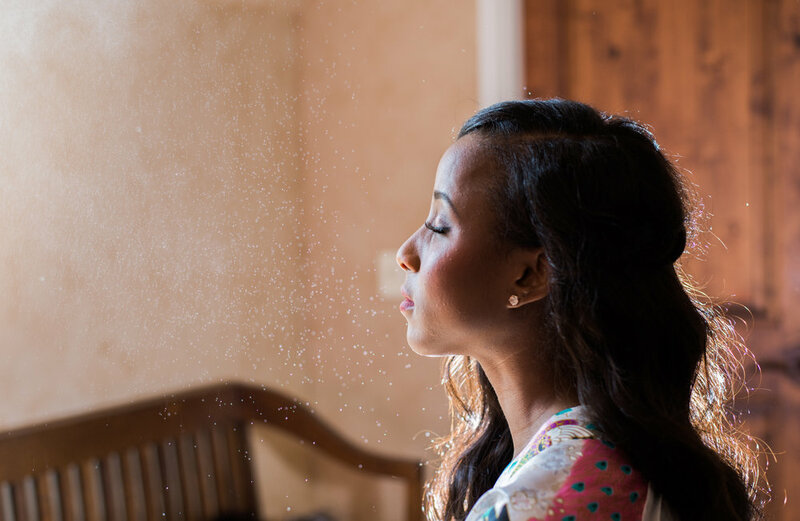 When it came to planning her special day, her goals were clear - she wanted to focus on her husband. Her ceremony and reception, the flowers and the catering, the music and the dancing all came together beautifully, but I'm not sure if, in that moment, she noticed how perfect it all was. Every time we looked at her, she was looking at her groom. Love like this is why we love wedding films. Congratulations Mr. and Mrs. Chapman! There is something incredibly bittersweet about a dad giving his daughter away on her wedding day. 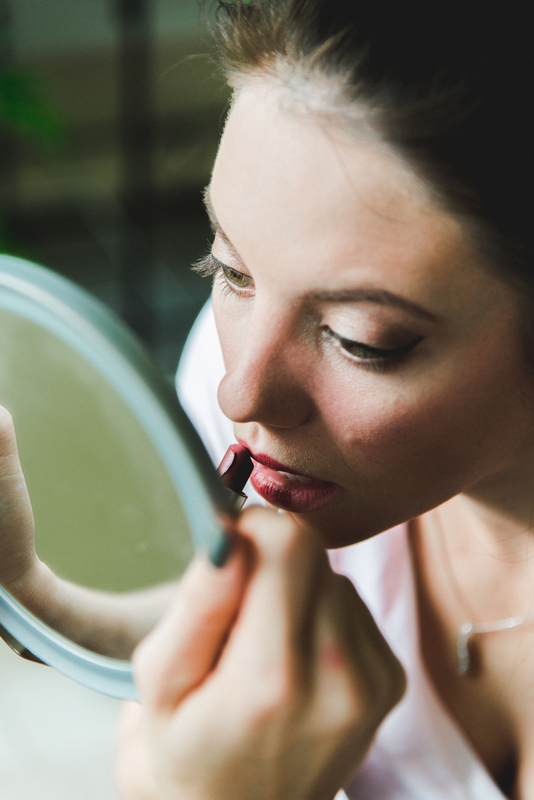 Handing your little girl off to another man can't be easy, but when you know that she has made the perfect choice and has found the love of her life, you just may want to do it twice. That's exactly what Keela's dad did. First, a first look with Keela and Dad. Let's just say that Father of the Bride tears are nothing to joke about. He saw his daughter for the first time in her wedding dress, then took her by the hand and walked her to the place where her groom was also anxious to lay eyes on this stunning bride. 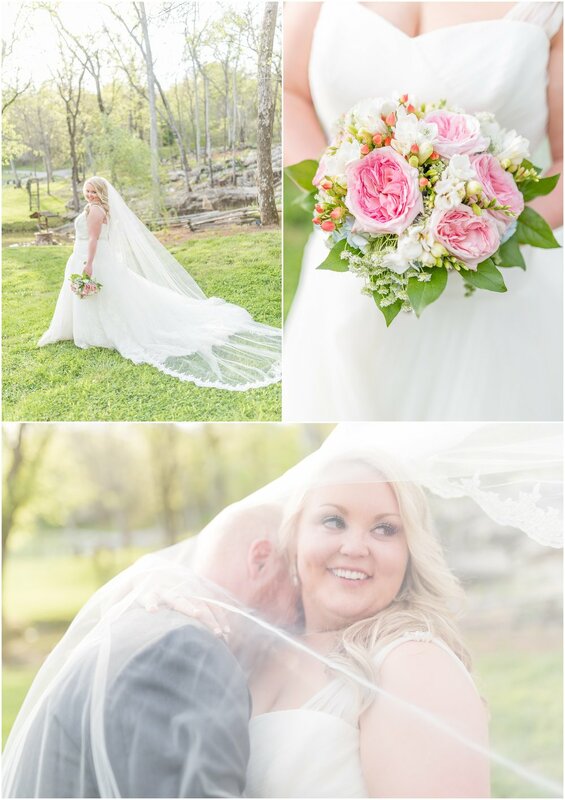 We loved this spring wedding at The Barn at Chestnut Springs in Maryville, TN. A day full of sweet moments turned into a night of great food, drinks and dancing with FireHouse DJ. What a way to start forever. Congratulations Mr. and Mrs. Whitt! Guys. This is huge. So where do I begin? It was his idea to stage a photo session to pop the question. DUH! How great of an idea was that? 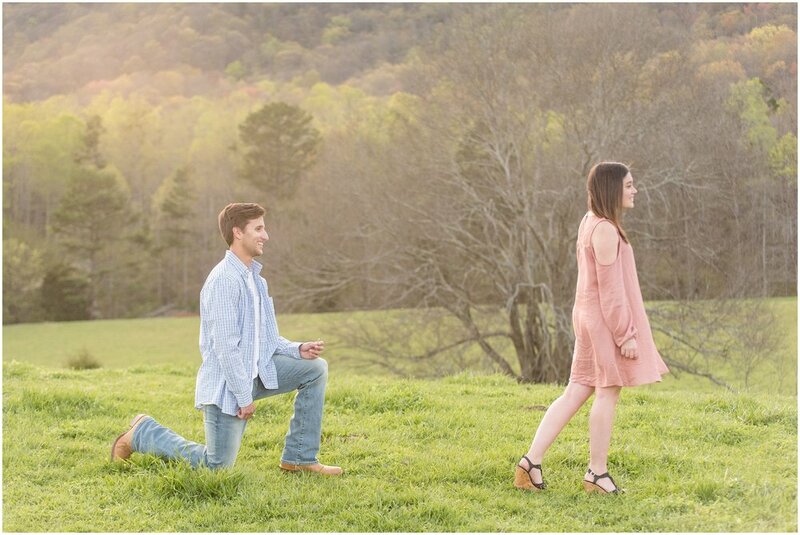 He wanted to propose on the family farm where we have spent our entire childhood. Traditions, remember? We grew up here, raised animals, got into water gun fights in the house, played hide and go seek in the barn, learned to drive and how to work… the list could go on and on forever. This place is special and a insanely important part of our lives. He couldn't really imagine a better place to ask her to be his wife and a part of our family. This is also the place I chose to proposed to Ashley! Traditions, traditions. For those of you who don't know Brett and Emilye, they are high school sweethearts. We've all known that this was going to happen eventually, especially Emilye. But she definitely didn't see it coming this particular weekend. 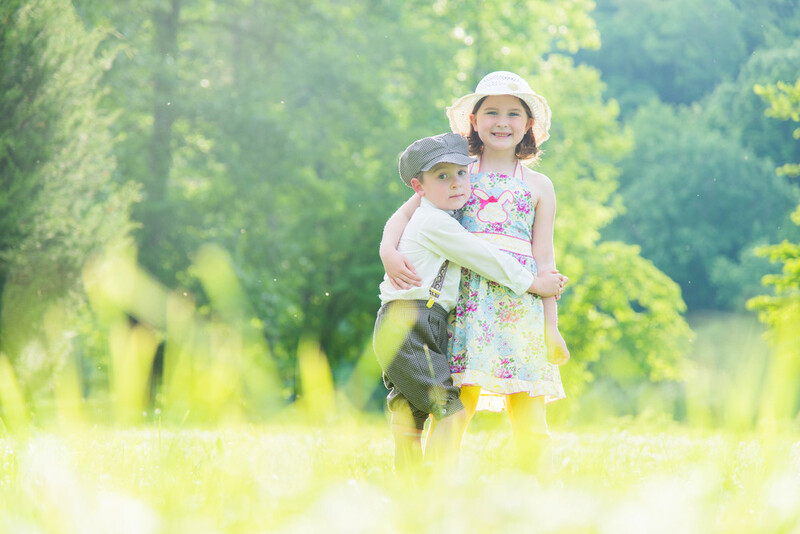 Brett asked Emilye to cancel her plans to spend the weekend rock climbing in Chattanooga so that they could take spring pictures together. She had no idea that another type of rock was heading her way. 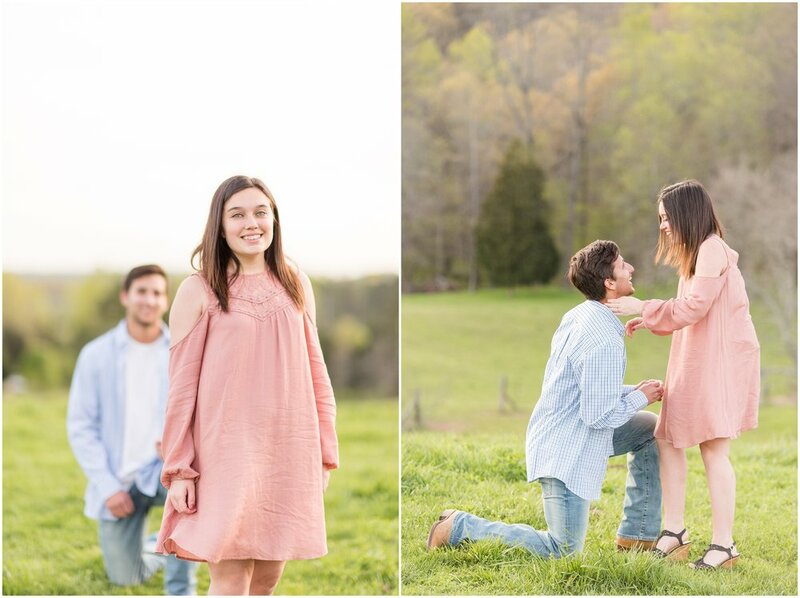 He drove her around the farm for photos in some of their favorite locations before walking her up to the hilltop at sunset, sneaking up behind her as she was taking portraits and surprising her with the "Will you marry me?" that she's been waiting for! Their audience was none other than the Guge family's heard of cattle that gathered around to witness this special moment. Her answer? "It's about time!" So enough of me story telling…. check out these photos! Congrats Emily and Brett! We love you two! "Marriage is like a bicycle. It takes two wheels to work together in unison to be fully functional. The bicycle can't move forward with just one wheel, so you have to be there for each other to make it work." 10, 9, 8, 7, 6, 5, 4, 3... 2... 1... You may kiss your bride at midnight! New year, new beginning, new last name. That's exactly how Erika began her 2017, with Ryan and all of their favorite people dancing alongside her. 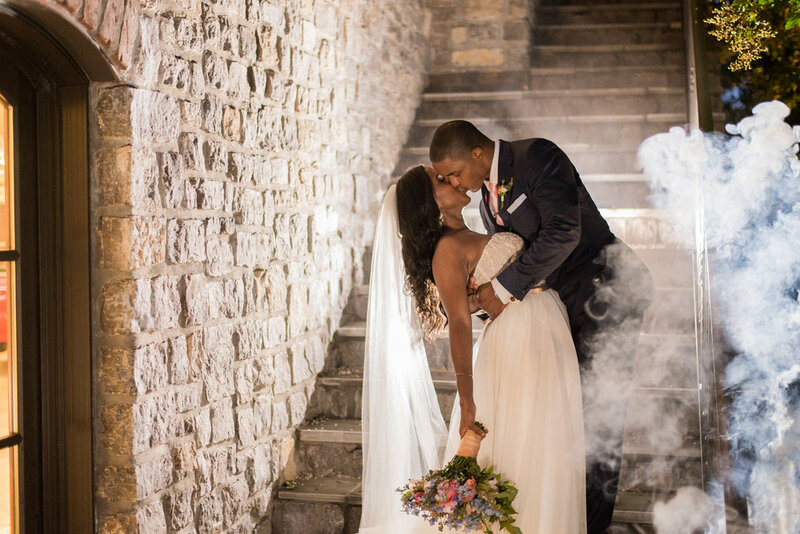 Trust us when we say that there is nothing more magical than New Year's Eve wedding in downtown Knoxville. Their I do's were proclaimed inside the stunning Holy Ghost Catholic Church before a trolley carried the party over to the Knoxville Museum of Art for the NYE festivities. Complete with the deliciously appropriate holiday cuisine, an open bar and the phenomenal local band, The Coveralls, this was one for the books! This was definitely a night that we didn't want to see come to an end, but the perk here is that the end of the night was actually a really great beginning. Erika and Ryan, we hope that every new year begins and ends with laughs, friends and love, just like this one. Cheers! 1. First looks are a must! 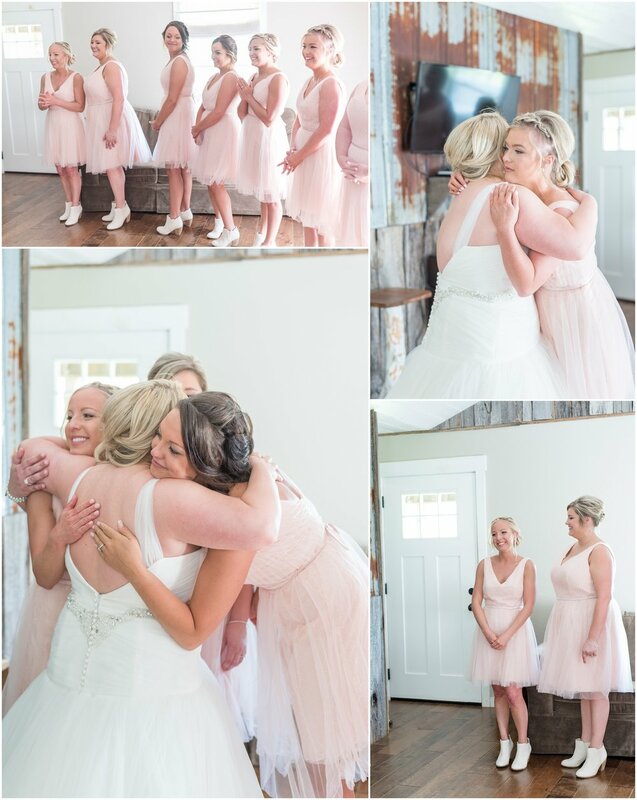 This was such a sweet and sentimental moment for the bride and groom. They took this opportunity to focus on only each other before the excitement began. 2. Personalized vows are so incredibly special. Barbara and Edgar chose not to write letters to one another, and instead opted to personalize their ceremony vows. The best part about this is listening to one speak as you see the other's eyes light up with delight, like they're realizing they chose the perfect person to share their future with. 3. Reception entertainment is key! Jim Ogle kept the crowd dancing for hours! We can always count on Ogle to set the perfect mood for a fun night and the Gray wedding is no exception. We wish this beautiful bride and her lovable Mr. a future full of laughs, love and winning Red Sox seasons. Five years together and their adventure is just beginning. 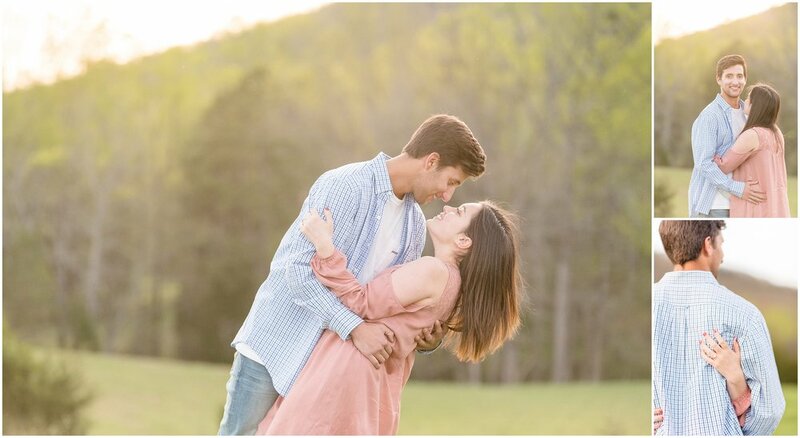 Kelzie and Joseph ended their engagement and started on the ultimate adventure this November in a magnificent destination wedding in East Tennessee. Kelzie brought her unique style to the Whitestone Country Inn and, wouldn't you know it, the mountainside venue became even more beautiful for these sweet Autumn "I do's." Mr and Mrs Brady, we hope that your hearts and your pumpkin spice latte's are always full. 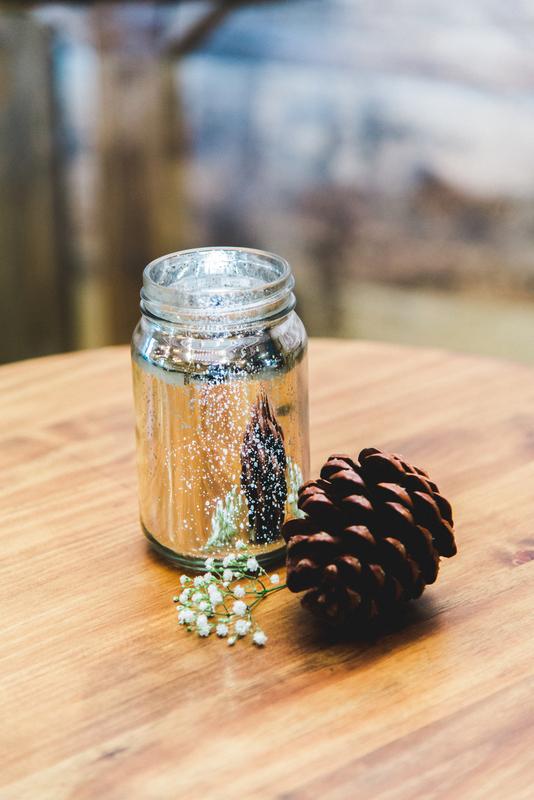 Here's to the perfect start to your adventure! Cheers! "But Sweetie, our love is galaxy class and I can't wait to start this voyage with you." 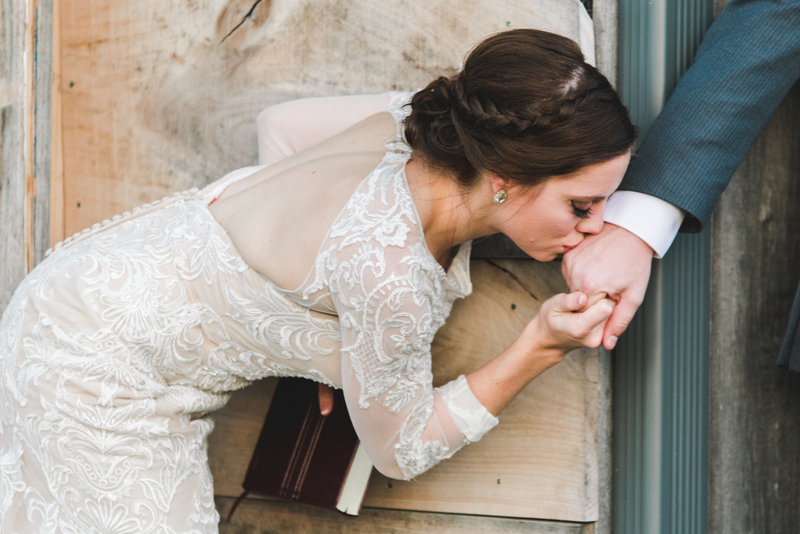 Personalized vows are a must when you've got a creative couple like this! 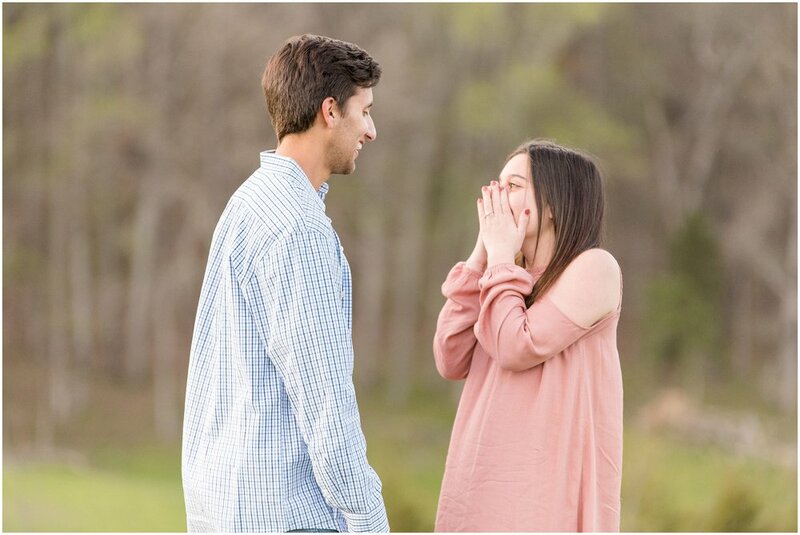 I'm sure that Kirby knew that his bride's words would be heartfelt and sweet, but his eyes lit up the moment he heard Angeli promise to love him for a lifetime - with Star Trek references. Our advice to you, Kirby, is to never let her go! Of course, he also had quite a surprise up his sleeve when he stunned by performing a song he'd written just for her at their reception. 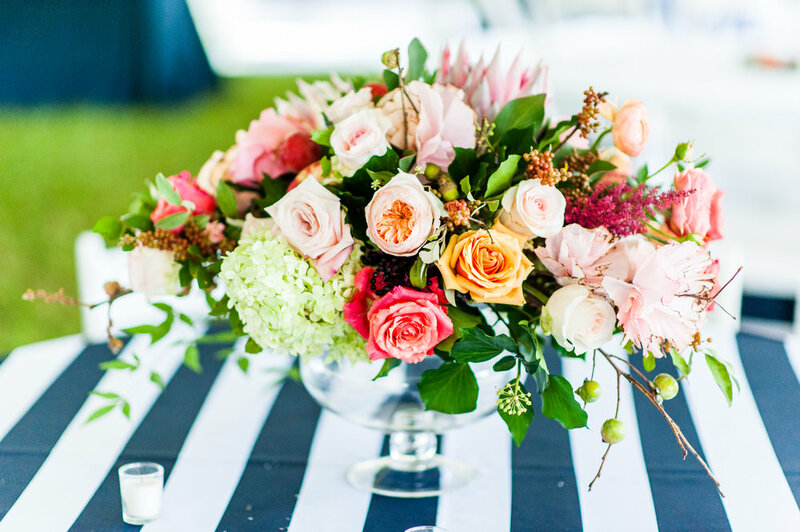 Hunter Valley Farm's amphitheater and pavilion was a tremendous location for their sweet sentiments and Autumn garden party. We wish these sweethearts a life and a marriage that is as perfectly sentimental and as pleasantly surprising as their wedding day. Cheers, Mr. and Mrs. Reitz! "Take a moment and think back to our journey thus far. Think about how he made the impossible possible. Think about the plans he set out for us. Think about the prayers he answered. Think about how blessed we are. Now I want you to just thank him." All the happy tears! Jessica and Terrance are a match made in Heaven! 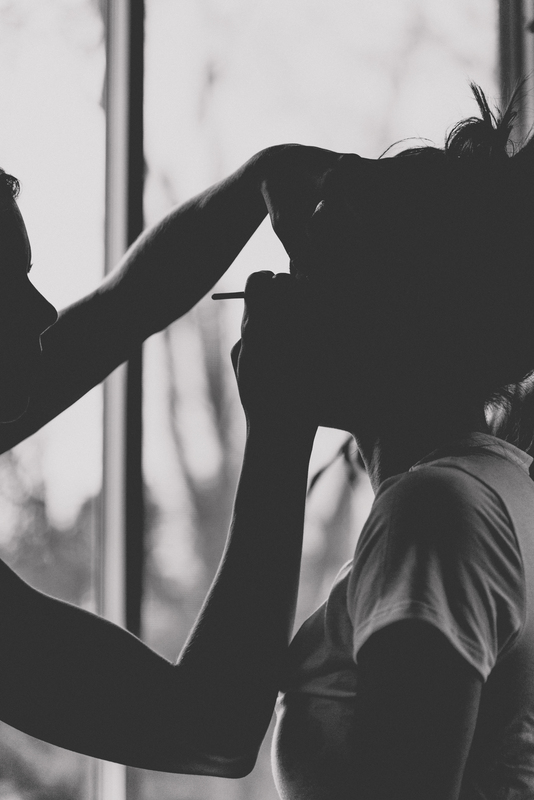 Who knew you could fit this much love into a single day and still have time for hair and makeup? 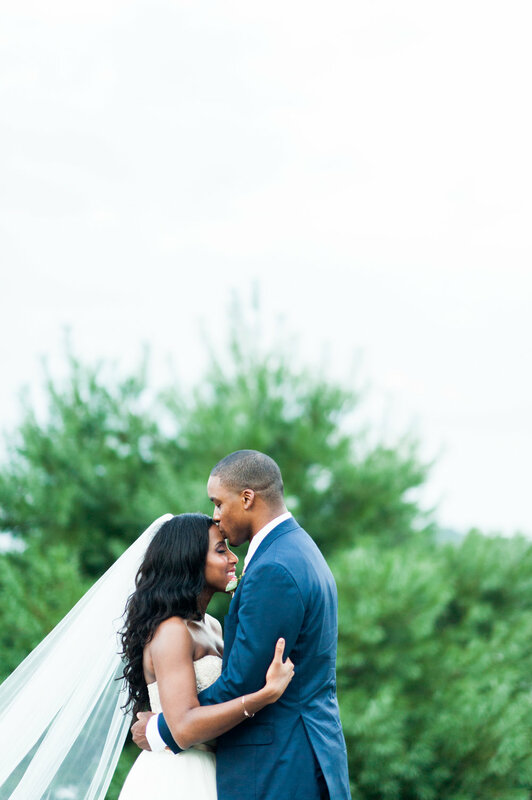 Their Knoxville nuptials were sweet and soul stirring to say the least. Throughout the entire day - through every happy tear, every photo taken, every vow and speech and every laugh, (and there were many!) - there was the same underlying concept: let's give glory to God. Both families made it clear that this was their goal and their joy. We too, would like to praise him for allowing us to work with such an incredible couple that showed us an extraordinary kind of romance. A love rooted in the love of Christ. Congratulations Mr. and Mrs. Garmon! "Know that my greatest desire is to love you and our family well. My hope is that our family and marriage is a strong rooted example of love - a love like Christ's." 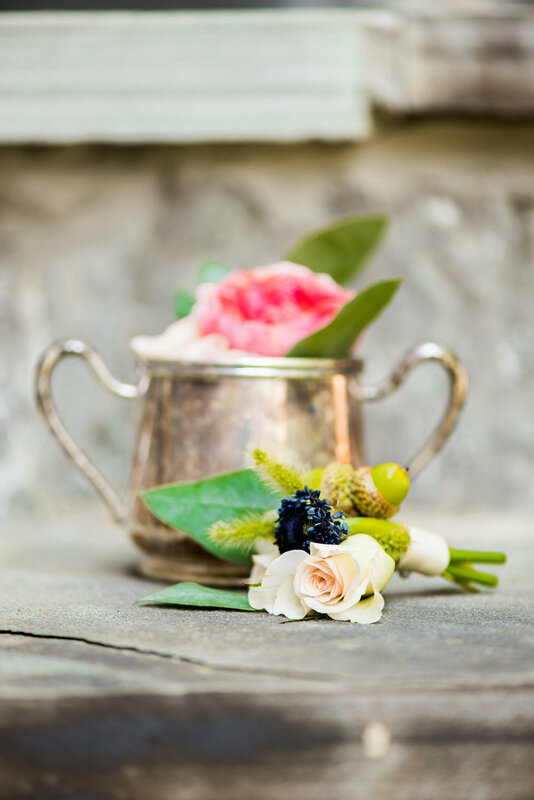 Let's all grab a bowl of Chocolate Chip Cookie Dough ice-cream and curl up to enjoy this sweet wedding at the Mayfield Family Farm. 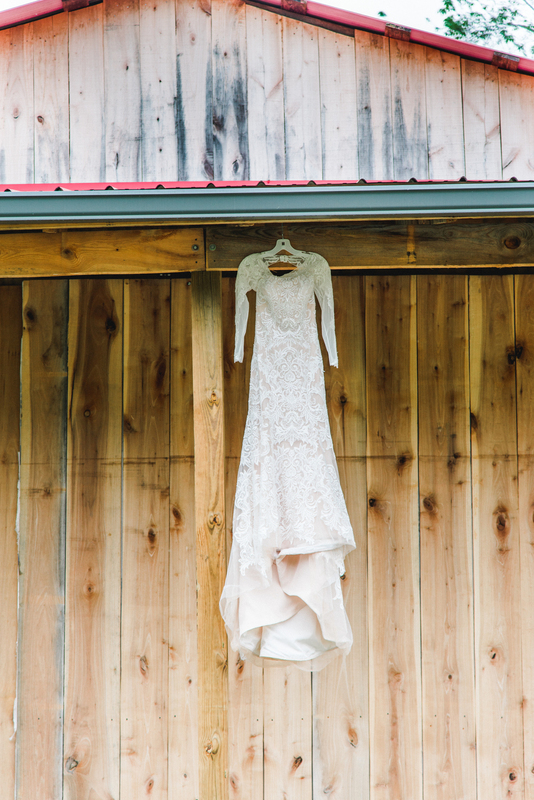 Erica and Dillon's East Tennessee nuptials are comfort food for the soul, so be prepared to tear up just enough to be inspired to plan an elegant barn wedding of your own. Erica, being the planner that she is, contemplated for days exactly what words to say to her new husband on her wedding day. How can you possibly sum up every perfect memory and all of your hopes for the future in a single letter? One morning, as she walked through her kitchen, a magnet that had hung on her fridge for some time fell off and into the floor. As she picked it up, she read the words written on it and realized that there is no need to stress because God has provided the perfect message for her and that, no matter what the need may be, he will continue to provide throughout her wedding day and throughout her marriage. As you can see, he did not disappoint! What did I tell you? So sweet, right? Congratulations Mr. and Mrs. Willet! Some weddings feel like the epic climax scene of an incredible love story, and Caroline and Angelo’s Asheville, NC wedding was exactly that. The Crest Pavilion provided one of the most impressive mountain views in the Carolina’s for their hilarious and sweet ceremony, and, like any good romance story, they spent the evening dancing the night away with all of their favorite people and incredible live entertainment from The After Party Experience. We loved getting to know the two of them and hearing their story about reconnecting in Knoxville after knowing each other for so many years. Five minutes with this couple was enough to know that they are the perfect pair – lifelong teammates. Congratulations to Mr. and Mrs. Acitelli! Holy drone shot! We love this venue! Of course, any reception venue that pairs well with the beauty of St. John's Cathedral is noteworthy, but this country club overlooking the river has us swooning. 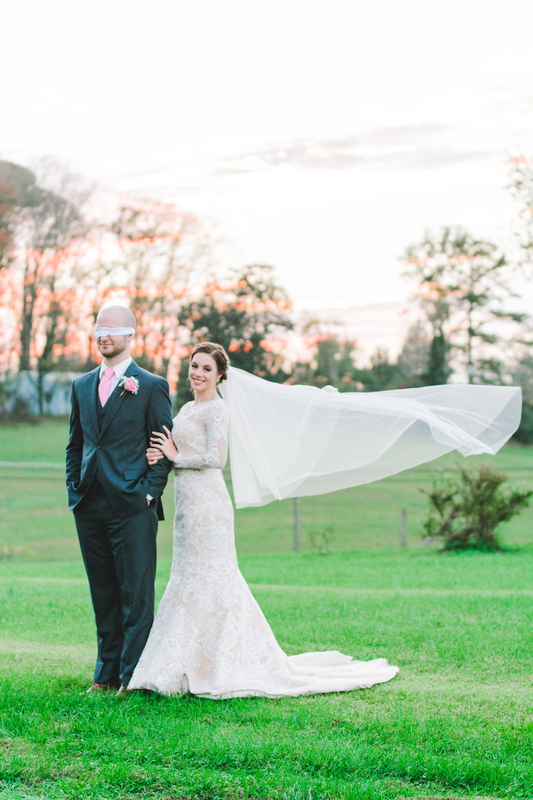 Emily and Daniel's Knoxville wedding was the perfect blend of elegance and fun. We are sure that their guests will be talking about this incredible live entertainment dance party for years to come. "Until God returns or calls us home, I will be your best friend. And as I continue to see and discover more about you, the things that aren't pretty, the things that are wonderful, I will not run away." We've never had so much fun on a Friday night! 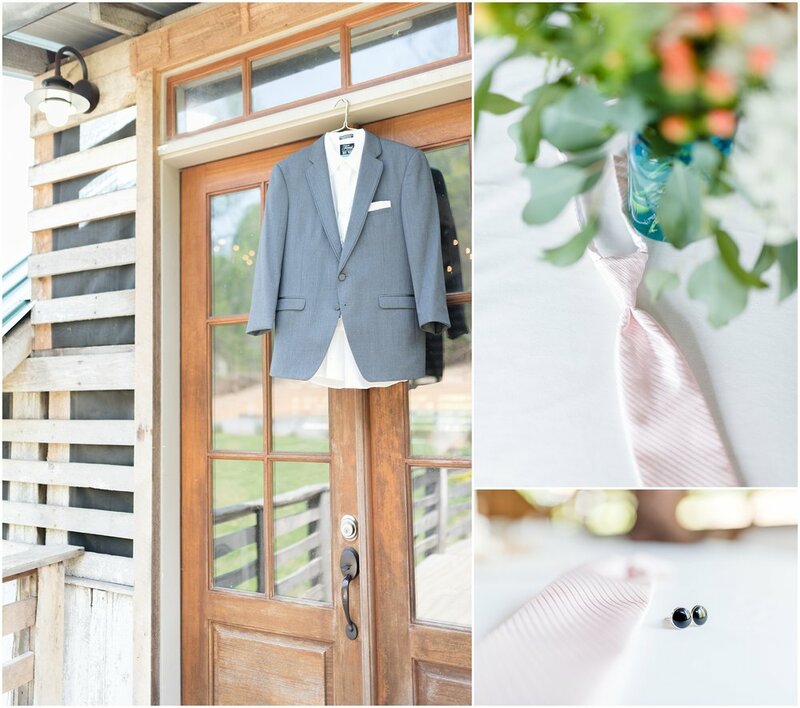 Josh and Miranda's spring wedding at the Smithview Pavilion was complete with checkered bowties, an insanely gorgeous wedding veil, and two best friends having the time of their lives on their wedding day. We are thrilled to wish the Vol-lovin' sweethearts a hundred incredible years of happiness and a marriage that is as much fun as their wedding day! 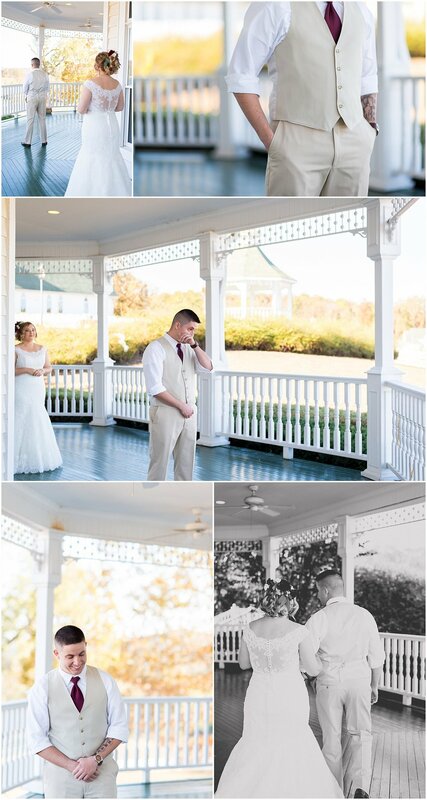 Marilla & Joshua's fall wedding at the Denton farm was GORGEOUS. Never has a groom been so excited to see his bride walk down the aisle! The Mr. and Mrs. said "I do" at the Grove Church in Kingston, TN and then rushed off to their barn reception for an unforgettable night of dancing with Firehouse DJ and their closest friends. 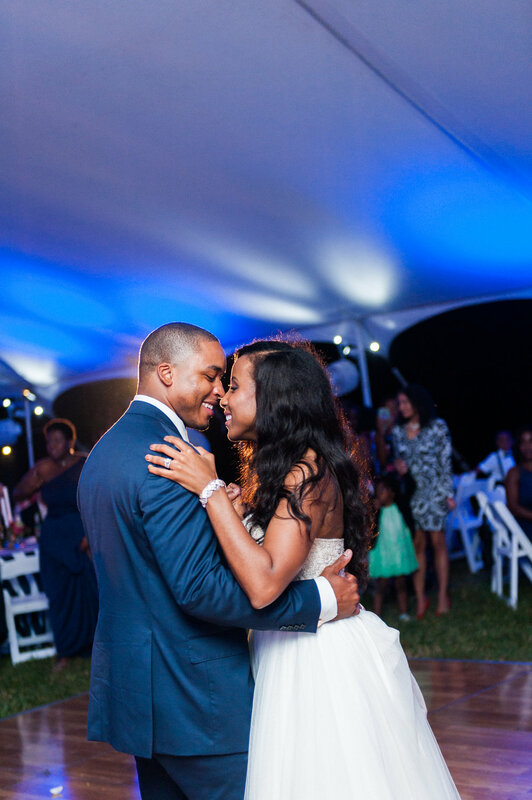 With a dance team as the bridal party, this reception was non-stop! So, we hear that rain is good luck on your wedding day. When it comes to night-time pics, we say "oh, heck yes it is!" 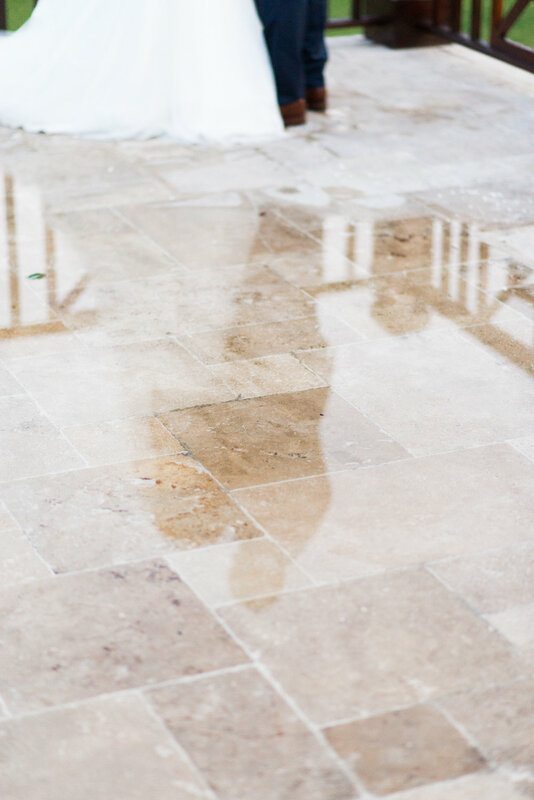 Sneaking away from the reception to play in the rain left us with these awesome shots of newlyweds! We're obsessed! How adorable are the little Buchanans? Molly and Alex are naturals in front of the camera. 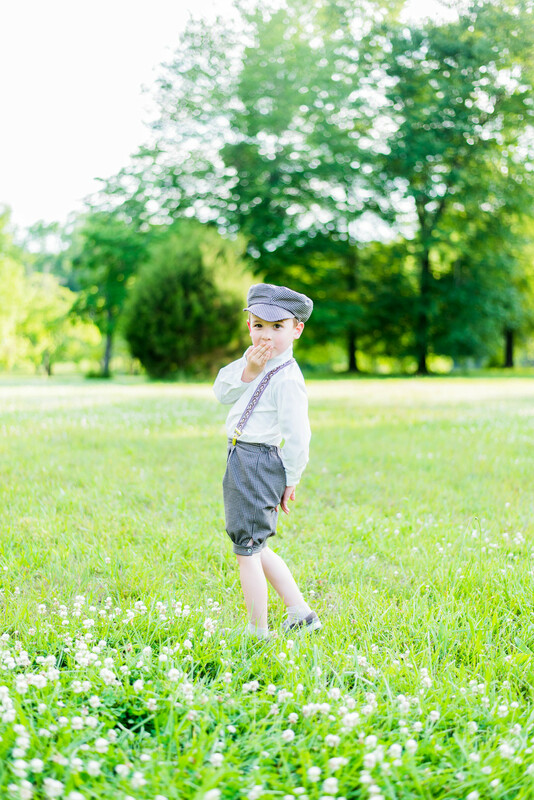 Their family portrait session flew by sooooo quickly because we all had so much fun! We found this awesome little spot at a local park near Kingston, TN and the sunshine decided to meet us there! 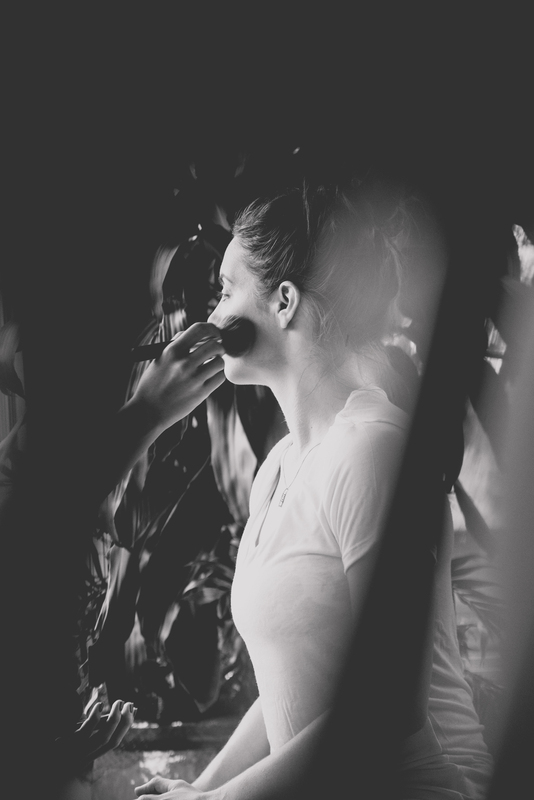 Contact us now to schedule your day! "Through sickness and health and adventures and shenanigans, as long as God gives us life, I promise to love you most." Knoxville is such an exciting place for weddings right now! 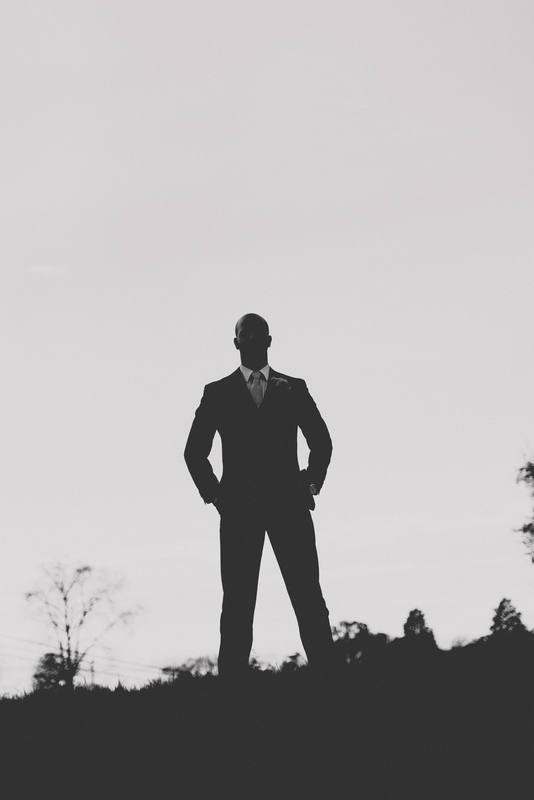 Chris and Catherine's wedding at the Southern Railway Depot near downtown was classic and timeless. If the beauty of Holly Hill Estate doesn't leave you breathless, witnessing such an awesome love between two people will. Lindsay and Brett are the type of couple that inspire our love for wedding films! There was so much joy and excitement in a single day! Lindsay and Brett, we wish you a marriage as magnificent as your wedding day! The Holly Hill manor was built by Sir Eric Bowater in the 1950’s. 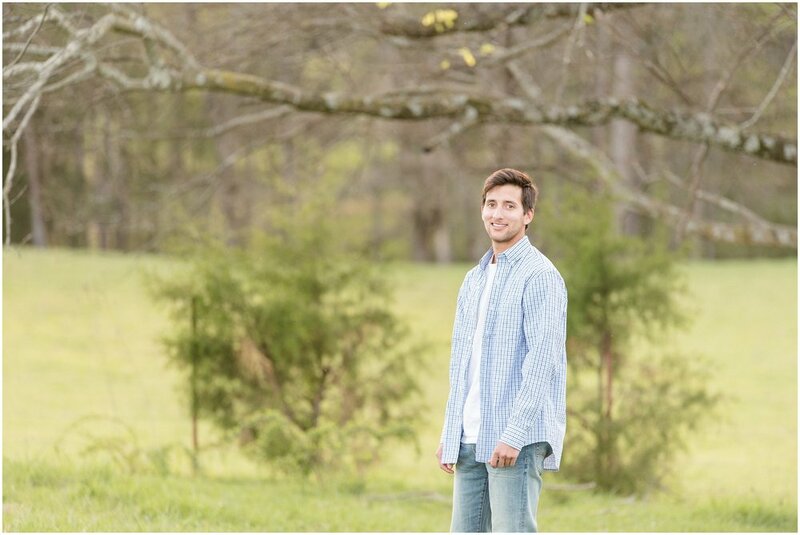 It sits on 76 beautiful acres, tucked away in a peaceful East Tennessee Valley. We are thrilled to have filmed the very first wedding held on this property since it opened to the public as an event venue.